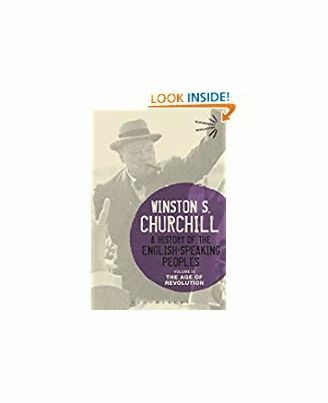 This history will endure; not only because Sir Winston has written it, but also because of its own inherent virtues - its narrative power, its fine judgment of war and politics, of soldiers and statesmen, and even more because it reflects a tradition of what Englishmen in the hey-day of their empire thought and felt about their country's past." The Daily Telegraph Spanning four volumes and many centuries of history, from Caesar's invasion of Britain to the start of World War I, A History of the English-Speaking Peoples stands as one of Winston Churchill's most magnificent literary works. Begun during Churchill's `wilderness years' when he was out of government, first published in 1956 after his leadership through the darkest days of World War II had cemented his place in history and completed when Churchill was in his 80s, it remains to this day a compelling and vivid history. In The Age of Revolution - the third volume of Churchill's history - Churchill charts the rise of Great Britain as a world power and the long rivalry with France, the shadow of the French Revolution, the rise of Napoleon and his defeat at Waterloo. The volume also covers the rise of the American colonies, their triumphant overthrow of British rule in the War of Independence and the first great generation of American leaders: Washington, Adams and Jefferson. This history will endure; not only because Sir Winston has written it, but also because of its own inherent virtues - its narrative power, its fine judgment of war and politics, of soldiers and statesmen, and even more because it reflects a tradition of what Englishmen in the hey-day of their empire thought and felt about their country's past." The Daily Telegraph Spanning four volumes and many centuries of history, from Caesar's invasion of Britain to the start of World War I, A History of the English-Speaking Peoples stands as one of Winston Churchill's most magnificent literary works. 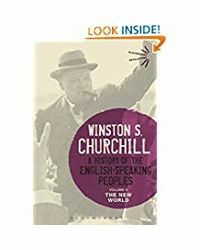 Begun during Churchill's `wilderness years' when he was out of government, first published in 1956 after his leadership through the darkest days of World War II had cemented his place in history and completed when Churchill was in his 80s, it remains to this day a compelling and vivid history. In The Age of Revolution - the third volume of Churchill's history - Churchill charts the rise of Great Britain as a world power and the long rivalry with France, the shadow of the French Revolution, the rise of Napoleon and his defeat at Waterloo. The volume also covers the rise of the American colonies, their triumphant overthrow of British rule in the War of Independence and the first great generation of American leaders: Washington, Adams and Jefferson.